12 Piece Mini Knife Set | BUDK.com - Knives & Swords At The Lowest Prices! 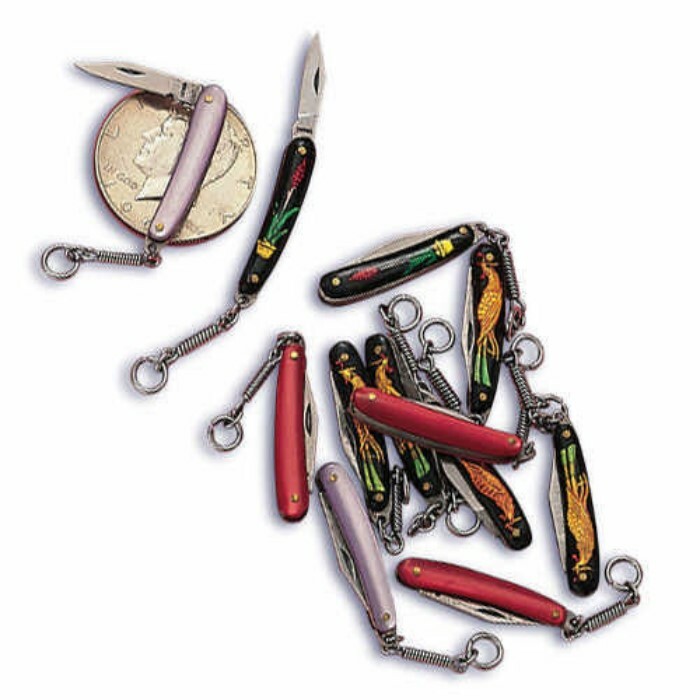 The perfect pocketknife collection! 12 mini knives, each equipped with 7/8" stainless steel blades and impact resistant colorful handles with key chain attachments. Lightweight and compact!